These days, unmanned aerial vehicles (UAV) typically fly alone with a team of ground operators controlling their activities through teleoperation or waypoint-based routing. But one aircraft can only carry so many sensors, limiting its capabilities. That’s one reason why a fleet of autonomous aircraft can be better than one flying alone. In one of the first autonomous demonstrations, the Georgia Tech Research Institute (GTRI) has successfully commanded three fully autonomous, collaborating UAVs. The machines flew in close formation at the same altitude, separated by approximately 50 meters as they executed figure-eight patterns. The research is part of GTRI’s efforts to improve the capabilities for autonomous systems collaborating as teams, thereby reducing the load on human operators. GTRI operated the three UAVs over the skies of Fort Benning near Columbus, Ga. A single plane was initially designated as the leader and commanded to fly autonomous orbits. The two “follower” UAVs joined the orbits, flying with rotational offsets of 15 and 30 degrees, respectively, from the leader. 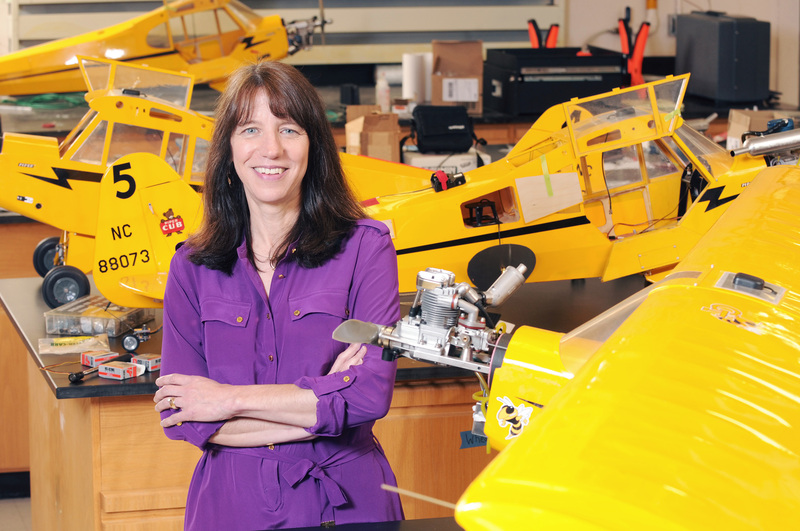 “There are logistical challenges with quickly getting multiple planes in the air,” said Charles Pippin, a GTRI senior research scientist who led development of the autonomy algorithms. The lead UAV shared its current position with the follower UAVs several times per second, allowing the followers to calculate the control changes necessary to reach the desired position. The followers also used the leader’s information to send commands to their on-board autopilots, which adjusted the controls and throttle for each aircraft. GTRI’s autonomous algorithms and applications are general enough that they can be used with different UAVs and autopilot systems. The aircraft in the Fort Benning demonstration were quarter-scale Piper Cub airframes with a wingspan of approximately eight feet. They are able to carry a mission computer, autopilot system, and sensor payloads. Autonomous systems working in teams have numerous future applications designed to improve lives and reduce costs. For example, multiple UAVs could provide several different camera angles while searching for a missing person. While surveying hurricanes, one plane could carry a sensor to check wind speed in one area while another UAV measures energy in another. The same is true for wildfires. One vehicle could determine the size of the blaze while another uses different sensors to measure the heat or direction of the inferno. “Multiple planes working together also provides flexibility if one aircraft fails or is diverted somewhere else during a mission,” explained Pippin. 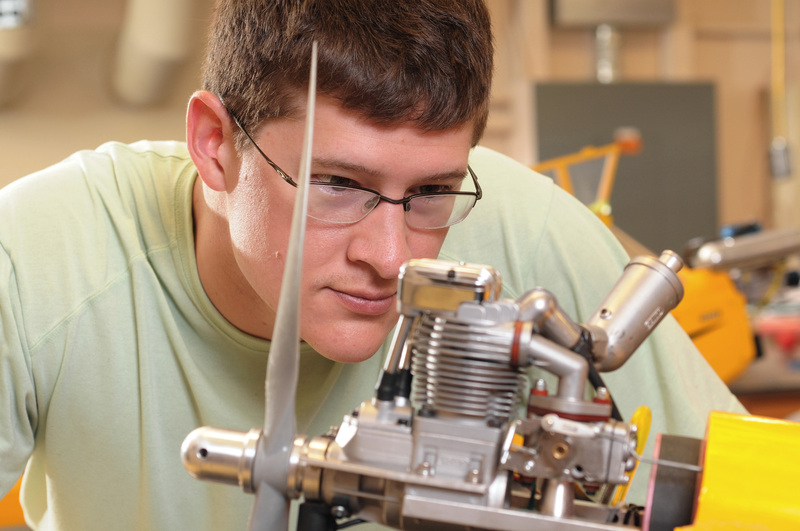 “GTRI’s ongoing research in these areas will make UAVs safer, and cheaper to operate,” said Weiss. 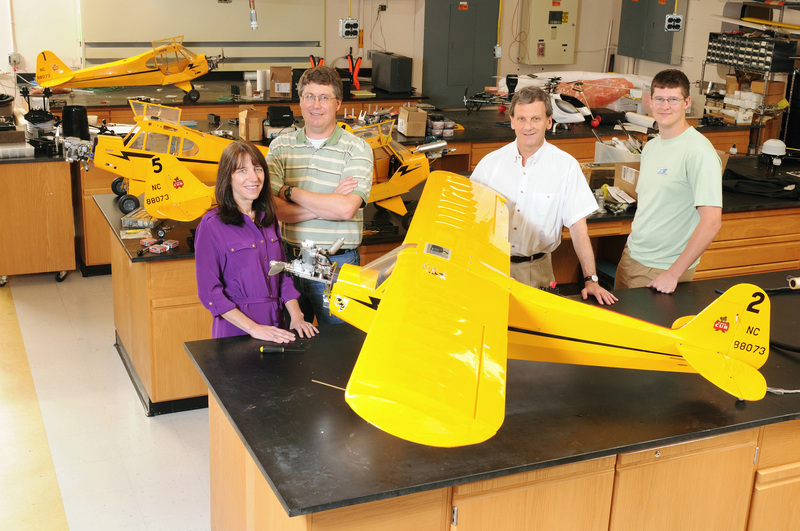 GTRI currently conducts collaborative UAV research using a collection of different airframes. GTRI has modified these aircraft in different ways, including equipping them with RF modems and cameras. The aircraft can also be equipped with pods to carry customer-specific payloads. The aircraft have been invaluable for research on collaborative control of multiple UAVs and have enabled development of algorithms to support more sophisticated collaborative missions. 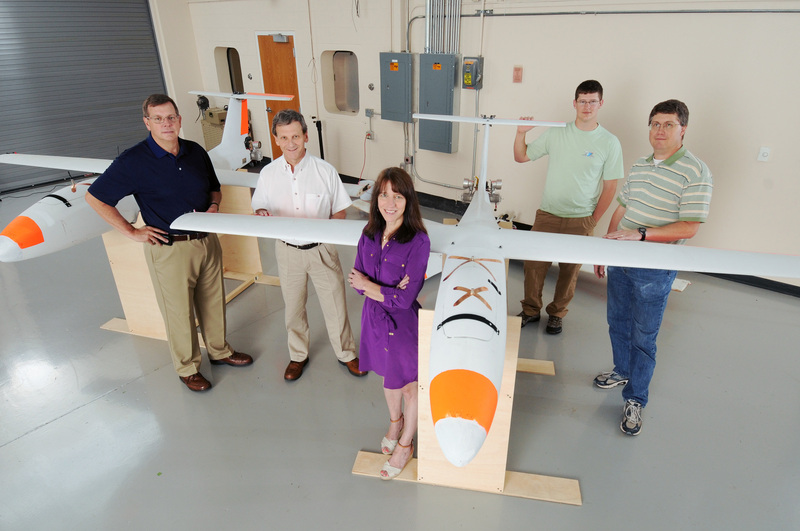 The recent UAV tests follow a 2010 GTRI demonstration at Fort Benning that featured two small-scale aircraft and a full-size self-driving automobile completing a mission without human interaction. The two projects are part of a Memorandum of Understanding GTRI has with the Army post to conduct tests of advanced technologies. Beginning this summer, the Georgia Institute of Technology and CNN will embark on a joint research initiative to better understand the opportunities unmanned aerial vehicles (UAVs) present for media organizations, and to explore the access and safety issues that need to be addressed as part of any new regulatory framework. Researchers at the Georgia Tech Research Institute have created an assessment tool for systematically stimulating and testing the logic of fully autonomous systems while they are under development – before they reach the operational test and evaluation stage.